In Edmonton, one billboard declares that “the UCP will help attract investment to Alberta” and directs the the public to visit a website that claims to tell “the UCP side” of the story. 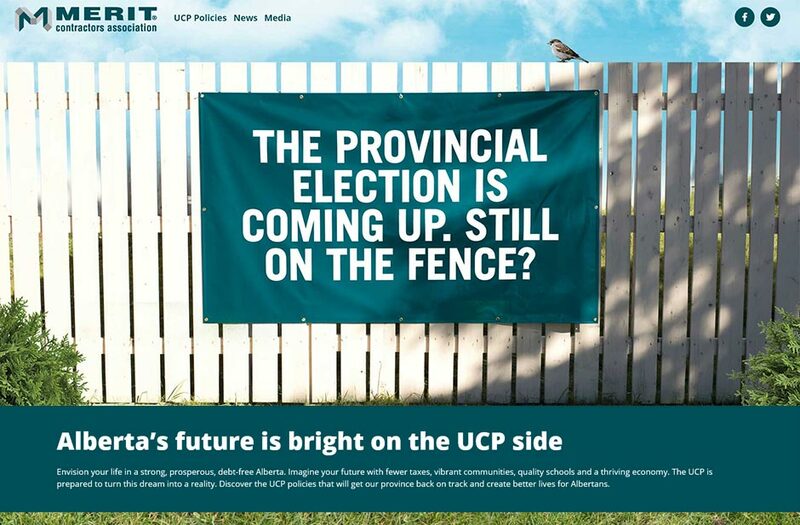 According to Merit Alberta’s most recent third party advertising disclosures, the anti-labour lobby group had amassed a war chest worth nearly $200,000 to blanket the province with pro-UCP advertising in advance of the 2019 provincial election. During his time as Stephen Harper’s Employment and Social Development Minister, Kenney and senior officials in his department were lobbied extensively by Merit Canada, the national affiliate of Merit Alberta. In 2013, the President of Merit Canada praised Kenney for loosening rules for the Temporary Foreign Worker Program following his organization’s lobbying efforts. According to the Office of the Commissioner of Lobbying, Merit lobbied Kenney again after Kenney’s office went into full damage control mode after reports emerged of widespread abuse of the TFWP thanks to Kenney’s changes. After Kenney changed rules on immigration and skilled trades, Merit Canada’s chairman declared he was “thrilled to hear Minister Kenney’s announcement” and credited Merit’s “productive discussions with the federal government” on the issue. Merit also lobbied the Harper government to undermine pensions and collective bargaining rights as well as pushed for the repeal of the Fair Wages and Hours of Labour Act, legislation that protected wages for workers, set overtime pay and placed restrictions on how many hours employers can demand employees work on a daily and weekly basis. Merit Alberta is pushing for similar rule changes in Alberta. Earlier this year, one Merit board member co-signed a letter to Alberta’s Labour Minister asking for legislative changes to allow for longer work days for construction workers. 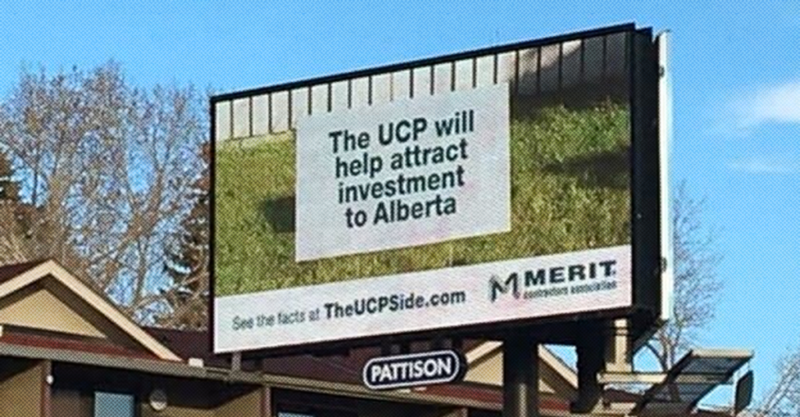 Merit has a long history of lobbying conservative governments in Alberta over the years. In 2013, former Premier Allison Redford came under fire after it was revealed Merit made big money donations in exchange for an agreement to rewrite Alberta’s labour laws. Fraser Institute wonders if a good job with good pay and a good pension is “fair”? 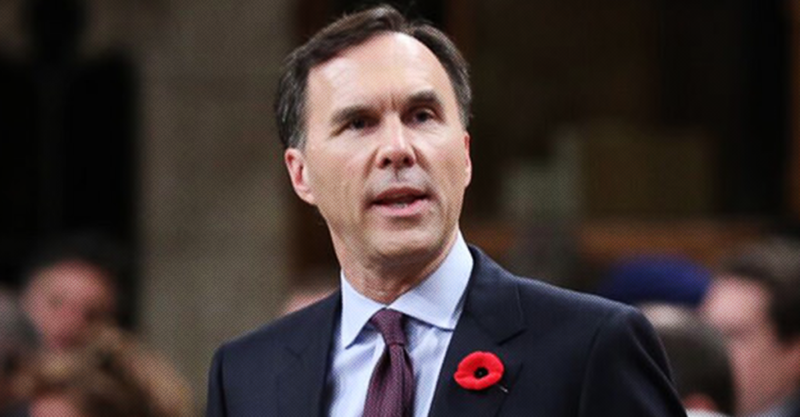 After spending the first half of of his mandate talking about “the middle class and those working hard to join it” and ending “unfair tax breaks” for the wealthy, Finance Minister Bill Morneau is now signalling a shift away from his government’s focus on tax fairness.